NOTE this product contains active Dead Sea salts and eucalyptus which gives a POWERFUL deep cleansing sensation when first applied. Feel the hot tingle sensation get to work at detoxifying and purifying the skin. Sensation will subside after 4-5 minutes. INDUSTRY LEADING MONEY BACK GUARANTEE. Try our BeBarefaced Mud RISK FREE! In addition to Amazon’s 30 day money back guarantee, BeBarefaced also offers a 6 month 100% satisfaction guarantee. If for any reason you are not completely satisfied with our products or service, simply contact us and we will make it right. Naturally Improve the Appearance & Feel of Your Skin. – Tone, tighten and improve skin texture. – Exfoliate, unclog and purify pores. Help rid your skin of blackheads and imperfections. 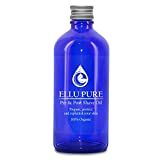 – Draw out unseen excess oils and impurities. – Moisturise and stimulate skin collagen to help fight wrinkles. – Natural and organic ingredients. Paraben free. 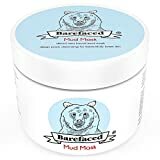 We are so certain of the positive benefits Barefaced mud will bring to your skin we offer a 6 month full money back guarantee! Naturally enjoy the best skin possible risk free. Our cute jars also make the perfect gifts for him and her, whether it’s on their own or part of a set. See product images for discounts.